Join us at this important symposium with distinguished researchers, industrialists and policy makers presenting their vision for hydrogen and fuel cells globally and be part of the discussions for shaping the future of the sector in the UK. 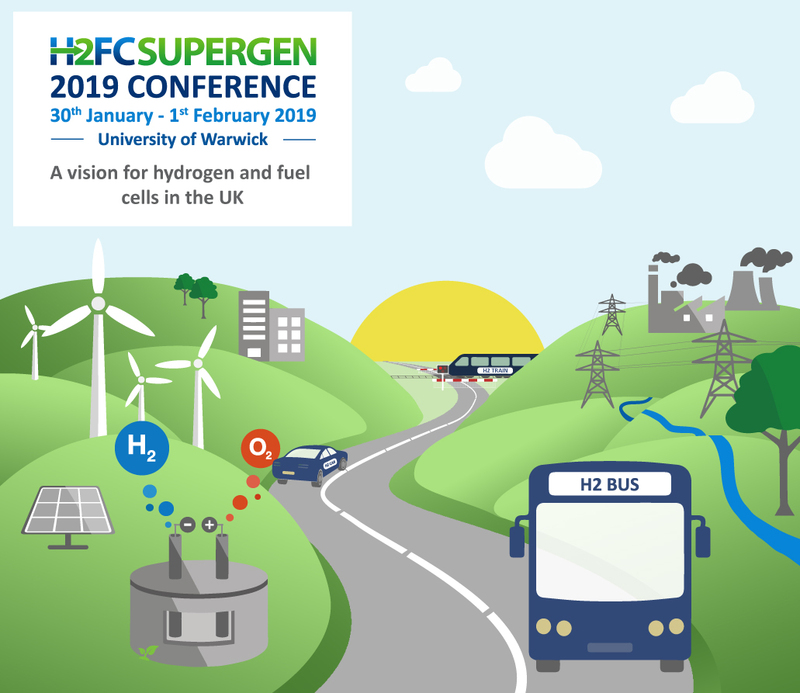 We are pleased to announce that the H2FC SUPERGEN is holding this conference to create a vision for hydrogen and fuel cells in the UK. At this important time for the sector, research and innovation remains critical for ensuring the potential of hydrogen and fuel cells are realised in enabling a cost effective and sustainable transition to a low-carbon energy system. This conference will be composed of key-note presentations on technology, policy and industry activities around the world, with key international experts presenting the progress in their respective areas of work and their vision for the sector. In addition to our invited speakers below, members of the H2FC Management Board will present on key developments and and provide a vision for hydrogen and fuel cells in their respective areas: Prof. John Irvine (SOFCs); Prof Anthony Kucernak (PEFCs); Prof. Ian Methcalfe (Hydrogen Production); Prof. Vladimir Molkov (Hydrogen Safety); Prof. Tim Mays (Hydrogen Storage). 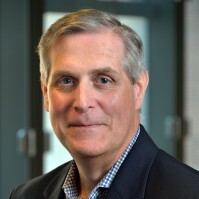 Professor John M. Vohs holds a Bachelor of Science Degree in Chemical Engineering from the University of Illinois, and a Ph.D. Degree, also in Chemical Engineering, from the University of Delaware. He joined the faculty at the University of Pennsylvania in 1989 where he is currently the Carl V. S. Patterson Professor of Chemical Engineering and Chair of the Department of Chemical and Biomolecular Engineering. 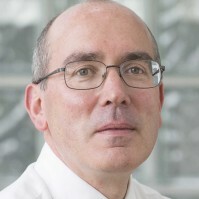 His research interests are in the areas of surface science, catalysis, photocatalysis, and solid-state electrochemistry, and his group specializes in elucidating structure-activity relationships for a variety of catalytic materials, including metals and metal oxides, and the development of anodes and cathodes for solid oxide fuel cells and electrolyzers. 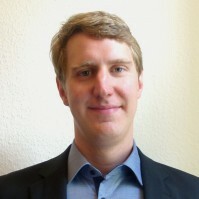 Current research projects in his group focus on supported metals catalysis, understanding the catalytic pathways for the reforming of bio-derived molecules, such as ethanol and glucose, to produce hydrogen and fuels, and using electrochemical techniques to characterize fuel cell and other catalysts. Prof. Vohs has authored over 300 publications that have appeared in scientific journals and holds seven U.S. Patents. 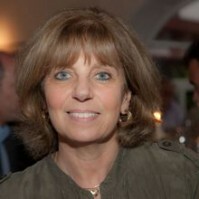 Deborah J. Jones received her Ph.D. in 1982 from the University of London, King's College under the supervision of John Emsley. After a period at Southampton University, UK, she moved to France first with a Royal Society Fellowship and then a European Commission Sectoral Grant in Non-Nuclear Energy at the University of Montpellier, France. She is currently Director of Research at CNRS, Associate Director of the Institut Charles Gerhardt for Molecular Chemistry and Materials, in Montpellier, France and serves as vice-president of the International Society of Electrochemistry. Her interests encompass the development of membrane, catalyst and electrode materials for proton exchange membrane fuel cells and electrolysers. She is Fellow of the Electrochemical Society (2015) and recipient (2016) of the Sir William Grove award of the International Association for Hydrogen Energy. Before I joined NOW, Jan Wegener worked for an international consultancy active in the field of hydrogen, battery technology and electric mobility as well as renewable energies and transport policies not related to alternative fuels. My academic background is also based in the regulatory field: I obtained a Franco-German double degree in “Public administration and European Governance” focusing on policy analysis and quantitative methods. Stations of my academic career were Berlin, Lyon, Constance and Grenoble. During this time I have worked for several consultancies covering energy and transport policies as well as in development and journalism in Brussels, Berlin and Frankfurt. Prof David Hart has been working as an expert advisor, consultant and researcher on fuel cells and hydrogen energy for over 20 years. 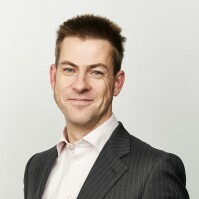 He has led and conducted projects on fuel cells and hydrogen in different industry sectors for governments, corporations and investors worldwide, has sat on Venture Capital investment committees, clean energy company boards and on the UK's Low Carbon Vehicle Partnership Board. He chairs the Grove Fuel Cell Symposium Steering Committee and has been an invited keynote speaker on six continents. In 2001, having built a successful research group at Imperial College London, he co-founded E4tech's London office to work on sustainable energy strategy consulting, helping clients make the best decisions in uncertain conditions. Now based in Switzerland, he is a director of E4tech and heads the fuel cell and hydrogen consulting practices, while retaining a role as a Visiting Professor at Imperial College. Dr Rachael Rothman is a chemical engineer specialising in the development and analysis of sustainable processes and clean energy systems. She received a first class MEng from the University of Cambridge and PhD from the University of Sheffield. 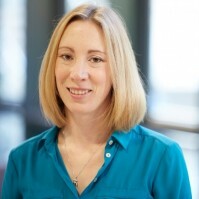 Rachael is a Senior Lecturer at the University of Sheffield and currently on sabbatical at MIT. Rachael's interests lie in whole systems analysis, clean energy technologies and thermochemical and electrochemical cycles for hydrogen production and carbon dioxide utilisation, in particular both the low and high temperature separations involved in the processes. 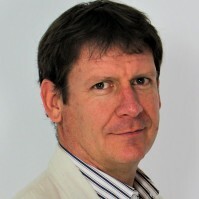 Recent projects include: the EPSRC funded 4CU project, investigating utilisation of carbon dioxide to form fuel; the European Framework 7 HycycleS project, looking at key components for the Sulfur Iodine and Hybrid Sulphur cycles for hydrogen production; and the KNOO (Keeping the Nuclear Option Open) project, investigating nuclear hydrogen production. 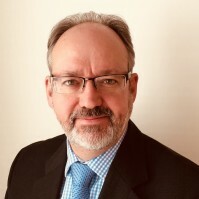 Nigel is Chief Executive of the Scottish Hydrogen and Fuel Cell Association (SHFCA), the trade association for development and deployment of hydrogen and fuel cell technologies. SHFCA is recognised as one of the most proactive hydrogen & fuel cell industry associations in Europe, with over 85 members mostly in Scotland and UK but an increasing number of members from overseas. Scotland is a dynamic location for Hydrogen and Fuel Cell deployments into developing low carbon energy systems, including hydrogen buses in Aberdeen and vehicles in Fife, the HySeasIII development of the world’s first ocean going ro-ro hydrogen ferry, as well as the BIG HIT, Surf ‘n’ Turf and ITEG projects in the Orkney Islands. Future developments include the H100 hydrogen network, opportunities for extending hydrogen bus fleets, and hydrogen trains. Nigel represents SHFCA member interests on the Renewable Industry Advisory Group, and is a steering group member for the Scottish Transport Emissions Partnership. Robert Trezona is a fuel cell scientist turned investor. Having started his career as a materials scientist at Johnson Matthey he then joined Ceres Power to lead the cell team that created the world's first steel-supported SOFC. 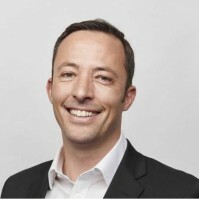 He moved into investment via a stint at McKinsey, with a first investment role at the Carbon Trust and more recently IP Group. At Carbon Trust, Robert set up the Research Accelerator Programme, which ran national innovation competitions to select start-ups in strategic technology areas for the UK. This included the Polymer Fuel Cells Challenge which backed ITM, ACAL and the PCB fuel cell programme at Imperial and UCL. At IP Group, Robert has built the UK's leading Cleantech investment portfolio with diverse investments in start-ups across the clean energy space. IPGroup is the largest shareholder in Ceres Power, having led its turnaround in 2012, and has recently made a seed investment in Bramble Energy." 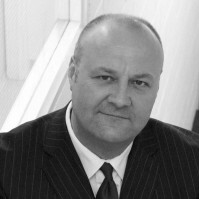 Jon Hunt has worked for Toyota and Lexus for 25 years across a variety of sales and marketing roles in the UK and Europe. As part of the Toyota Global Challenge to achieve zero emissions the UK was identified by Toyota as a strategic first market for the global introduction of the Toyota Mirai the world’s first dedicated mass market Hydrogen Fuel Cell Electric Vehicle. Since 2014 Jon has been responsible for the commercialisation of this programme in the UK selling and delivering the first vehicles outside Japan in October 2015. Toyota recognises that as hydrogen is inexhaustible, can be produced from renewable and excess energy and when used emits only water making it is an ideal zero emission energy vector. It is versatile and can be used in industrial processes, for transport - busses, commercial vehicles and trains are operating today; and for stationary power applications for both heat and power. As a result it is envisaged that hydrogen use will help both the products and production processes of Toyota to become emission free and sustainable. Kevin Kendall has studied fuel cells for 40 years, publishing 3 books and hundreds of papers. His main interest has been SOFCs. He invented the microtubular SOFC in 1994, demonstrating that rapid start-up could be achieved in less than one minute. Eight companies have been commercialising this invention for use in portable power supplies. He started hydrogen fuel cell activities in Birmingham as Professor at the University in 2000. By 2008 Dr Kendall had installed the first hydrogen station at the University of Birmingham, with 5 hydrogen fuel cell cars running on campus. He initiated the EU SWARM project in 2011 with Dr Steinberger-Wilckens and Ben Madden, leading to the installation of the Birmingham hydrogen station with 20 PEMFC buses delivered soon. In 2009, Dr Kendall was awarded the largest hydrogen fuel cell training project in the UK, supporting 100 PhD students at Birmingham University, in cooperation with Nottingham and Loughborough Universities. This project has continued through 2018 and remains the largest Doctoral Training Centre for Hydrogen Fuel Cells in the UK. In 2015, Dr Kendall started a project with industry in China to clean up cities. Asia is ahead in both SOFC and PEMFC applications, although subsidies are still necessary. There are now about 100 times more ‘London H2 Buses’ in Foshan than in London. His aim is to promote collaboration by working in China and making contacts between interested players. 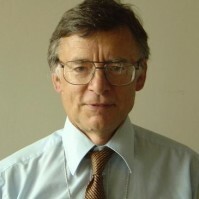 Dr Kendall was elected Fellow of the Royal Society in 1993. Keith begun his career with British Gas as Communication Systems Engineer, working on a variety of projects supporting the business communications infrastructure and control centre operations. In the following years he undertook a variety of roles within the industry which in 2013 led to the role of Head of Asset Assurance, overseeing the Distribution System Operator function on behalf of Northern Gas Networks. 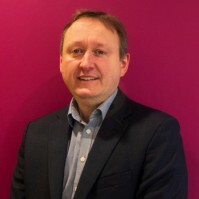 Keith is the project manager for InTEGReL, the whole energy systems research and development centre launched in 2017 by NGN, in partnership with Northern Powergrid and Newcastle University. 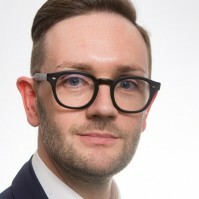 He became H21 programme manager in 2018. Mark joined Ceres Power in 2006 and, as CTO, is responsible for leading all aspects of the Steel Cell technology development. He works globally with Ceres Power’s customers (including Bosch, Weichai, Honda, Nissan, Cummins, amongst other global engineering companies) and their wider stakeholders including government, academia, and investors. Bringing nearly 20 years’ experience, he has a background in Automotive Product Development and CleanTech, working in research and complex multidisciplinary product development environments.